King said these words in a time where segregation was part of American culture. In many areas, schools, buses, restaurants, and all other types of businesses and activities were segregated by race, in part, due to state laws. Meaning it was illegal to not be segregated in many places, until most of those laws came off the books in the middle-late 1960s. As a nation, we are nearly 50 years removed from those days. Yet, if Martin Luther King Jr. was alive and being interviewed today, he would still be right to say that the tragedy of Sunday morning church service is being the most segregated hour in America has not yet reached its catharsis. Why has Christian America allowed so much segregation inside our churches? CHRIST DID NOT DIE TO BUILD THIS CHURCH, DID HE? Obviously this issue doesn’t have just one reason for why it’s happening or one answer for how the church can change our ways. However, I want to address this major issue. In my years in ministry, I have had the pleasure to visit & call myself a part of many churches. I have been in the white church and the black church, the big church and the living room church. I have seen enough to observe at least this one thing. The type of music you play will determine the type of church that you have. Music has become a fundamental part of the Christian church in America. 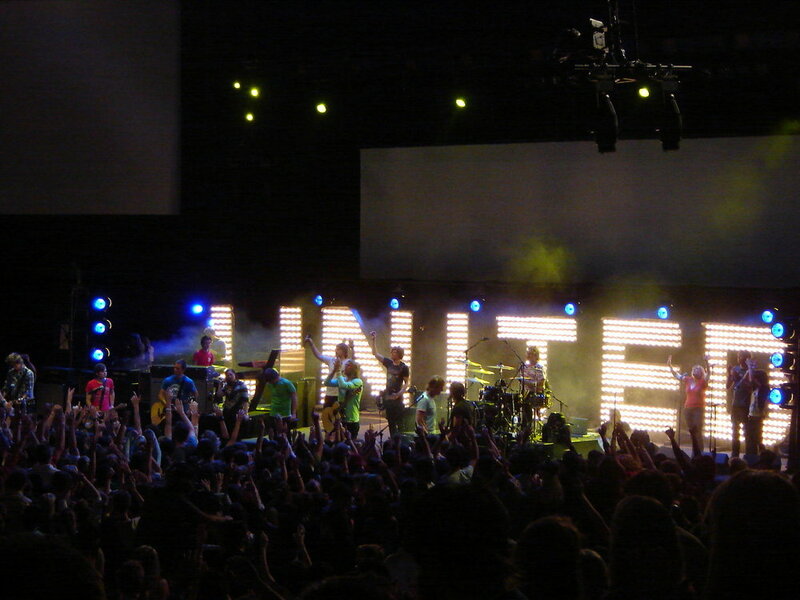 Churches, regardless of size or denomination, integrate praise and worship music in their services. Based on that fact, you would think that it is clear that churches are intentionally relying on the ministry of music to comfort, teach, and connect the community to their savior Jesus Christ. However, for many of the "happily segregated" churches, I don’t think that much thought goes into their praise and worship ministries. The churches that are not segregated seem to have applied some thought to their music ministries, and I’m not talking about spending time in practice or thinking about song selection. A church could commit many dollars and man hours to a music ministry and still find that it does not meet the needs of the community they serve. A performance by Chris Tomlin, that fuses hymnal type lyrics, with a gospel twist and a contemporary sound. This isn’t the perfect example, but it’s proof that there are ways to include everyone instead of separating them. Every church should have a vision for how they will run. 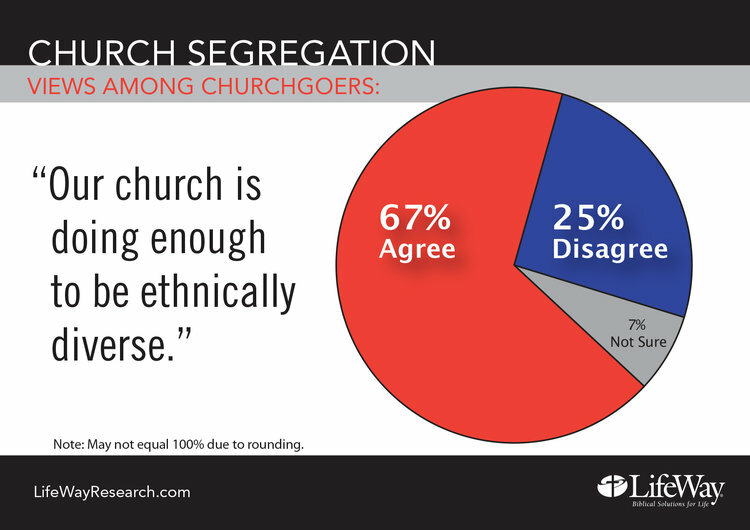 It’s unlikely that most churches will publicly say they are actively trying to be segregated. So if the vision of the church, at least in part, is to reach out to all that would come, shouldn’t they determine who that is and try and meet those needs? If a church lacks a youth culture, is it because they haven't grown one? If a church desires black people, why do they only play music for old white people? Let’s just be real for a moment. These are just the little things that we can do to serve the community that we're trying to touch, but if we want to be the same way we've always been, then never doing anything different is the way to go. Jesus shows us that wherever He goes change follows. If Jesus is present in our churches, change will be evident in them as well. Our music ministries should be living things growing and changing in new ways as needed. The churches that experience real growth today have found a way to adapt the music ministry presentation to fit community needs -- regardless of what type of music that is. People go to churches that find ways to meet the needs of the community because they feel loved and know they are able to worship in authentic ways. The type of music, and the intentional choices a church makes to present that music ministry, has a mighty result on which side of the segregated fence it sits on. Should a church be surprised when they present praise and worship that speaks only to the heart of one type of people group and they only have one type of people coming to their church? Evangelism isn't about just sharing the gospel with people that we meet, but it's also about meeting them how they are, where they are. I know what you may be thinking, “So John, then tell us what the best type of worship music is that will magically bring in people of all color to our services.” I can’t. The truth is that the type of music in the church can, and always will, change. It’s not about the what type of music is, it’s about the how the music is presented. Our communities have needs and our churches have needs. The goal is to get those needs together. For instance, a community may have a lot of children that aren’t attending church and a nearby church may have a tiny children’s ministry. That church can continue to do programs and music in the way they’ve done for decades and hope the kids show up or they intentionally create a music ministry that speaks to the heart of those children and gives them a reason to come. Again, giving attention to the churches music ministries are just one way of many to help our churches be the change we implore the world to have. I decided to address music ministries in the church because the subject seems to segregate the church even more than race. Every church I have ever been to has had both proponents and opponents of the type of music being shared. In recent years, some churches have begun to adjust accordingly. Some churches have created multiple service times, where the music type is separated into traditional and contemporary. Popular Bible Teacher John MacArthur has said, “I sometimes wish the music would all go away. And that I didn’t have to deal with sensations, along with my thoughts." On the other side, Mike Bickle opened International House of Prayer, a ministry that facilitates 24/7 services with focus on praise and worship. These are extreme examples of adapting our music ministries, but none of them are the ultimate solution to using music ministries to integrate churches. Even the churches that answer the problem by creating multiple types of service. While I am overjoyed they are addressing the problem, they are still promoting segregation. To me, separating services by music type is the same as separating by color. I’m trying to show context for the problem. Churches create ministries they want to attract the people theywant. When we should be creating ministries that serve those near us. I have been at the white church that is proud they don’t hold “rock concerts.” I have been to the mega church that is happy to ignore the needs of some to speak to the hearts of the young. I have been to the black church that determines your spiritual temperature by the loudness of your singing. All of these ways of thinking are creating a culture of segregation. Every church has a way a thinking about music, but it comes down to this. Is your church intentionally trying to stay segregated? If not, then should the church be intentional about how they can attract different types of people to their church. It starts with music ministry. It definitely doesn’t end there though. I will spend the next few weeks looking into ways the church can transform to serve the communities they stand in. That is a necessary question that, when God answers, will open our churches up to be united in Christ instead of segregated by man. Where Did All the Altar Calls Go?